Blurb Description: The thrilling finale to the New York Times bestselling Young Elites series from Marie Lu. For the longest time, I’ve been staring at the Young Elites trilogy sitting on my TBR pile and hoping that someday, I would find the time to read this series that sounded absolutely brilliant. So, when my semester closed this Tuesday, I thought what better time than NOW to do so? Within a span of four days, I read the whole Young Elites trilogy and I HAVE THOUGHTS. SO SO MANY THOUGHTS. 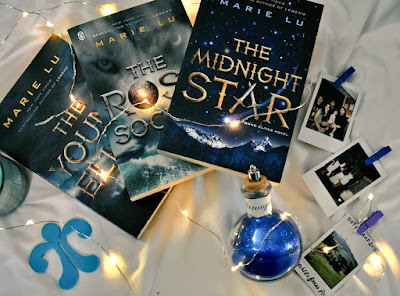 The Rose Society: THIS WAS SO MEDIOCRE, AND REPETITIVE, except for the last 70 pages which was action packed but when I reached the end of this book, I couldn’t help wishing it was more. And so, after the two days it took me to read both these books, I was unsure if The Midnight Star was the book I wanted to dive into JUST then. I took a break for a day, and then decided why NOT binge this series altogether? Which brings me to now. 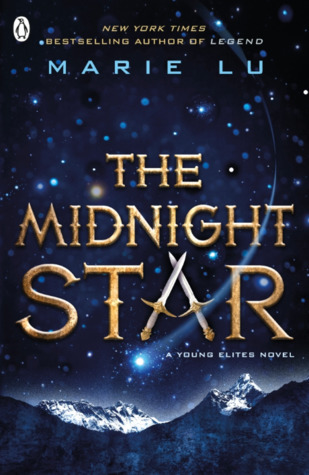 The Midnight Star was a perfect ending to a series I liked, but didn’t love all because of the middle part. 1. 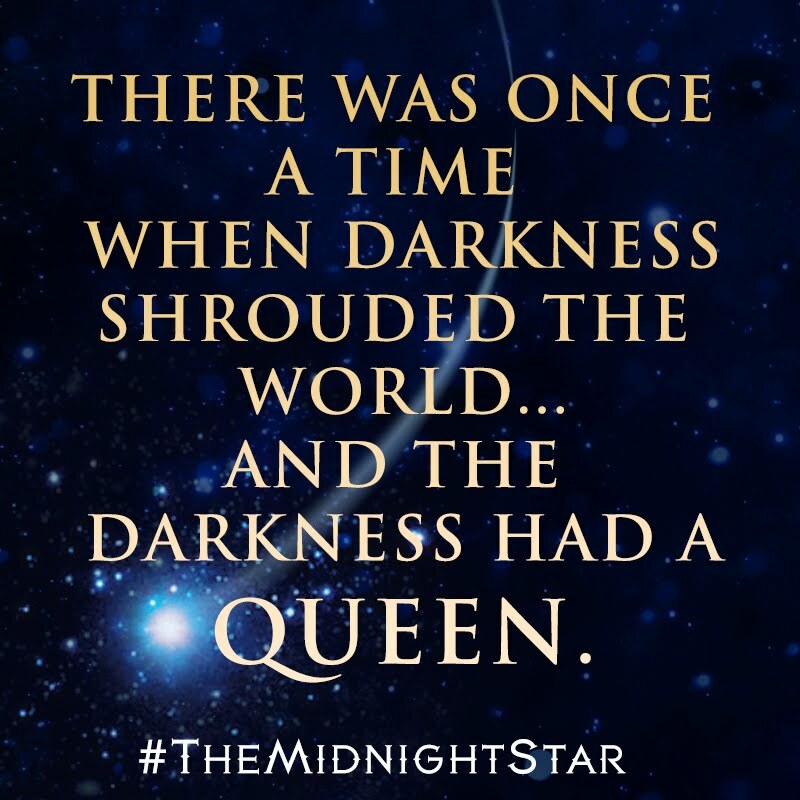 For the longest time in The Midnight Star, I struggled to cope with the kind of ruler that our main character, Adelina was. She was queen, sure, but she was a horrible queen. She had no care for her citizens, had horrible policies and was basically a vengeful conquer and not a ruler at all. 2. The main reason for Adelina being such a horrible ruler was because of the voices in her head, driving her to kill and conquer, and it’s also the reason I didn’t like The Rose Society – because voices in her head made her do everything wrong. Don’t get me wrong, I LOVE ‘BAD’ CHARACTERS or anti-heroes, but through the entire series, there was a “NORMAL” part of Adelina and then there was the “voices and the darkness” which totally RUINED the part where this book’s protagonist is NOT AN EVIL PERSON, BUT SOMEONE TORTURED BY UNRELENTING VOICES. 3. 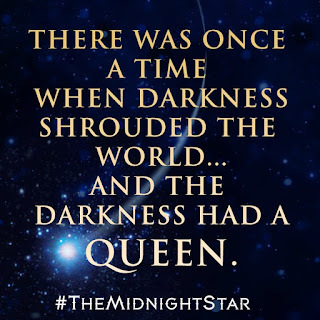 Which is why I called The Midnight Star the PERFECT ending to this series – it was when the voices lose the extent of their control and the real Adelina comes back, flaws and all. I preferred the flawed, angry girl so much more than the slave to the voices in her head girl and her character growth was astounding. 4. Another thing I loved about The Midnight Star was the sense of camaraderie that came across all the main characters – Raffele, Teren, Adelina, Magiano, Maeve, Lucent, Voiletta and everyone else. I was HAPPY to see that they were all working together, towards a common goal. 5. Like I mentioned, when the series mostly focused on the “voices” and the “darkness” and what they made Adelina do, it got BORING AND REPETITIVE. FAST. And yet, The Midnight Star had a totally different plot. It was about a greater goal, and power and mythology and it was just BRILLIANT executed. If there’s one thing I learnt from bingeing The Young Elites Trilogy, it’s that maybe bingeing something isn’t always for the best. I feel like the fact that I read them all together and so fast might have caused things to be repetitive, and for me to get slightly bored with the world. At the same time, I was happy that I could read it altogether without any breaks or time to survive the revelations and cliff-hangers. Yes, I’m a confusing person. Would I recommend this series? Definitely. A dark, twisty young adult series that COULD HAVE been better. Have you read any Marie Lu Books? Do you prefer the Prodigy series, the Young Elites series of Warcross? How excited are you for Batman: Nightwalker and for the rest of the DC series? What are some of your favourite books with anti-heroines? I'd love to hear from all of you.